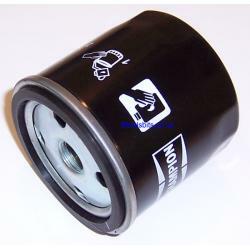 A spare black oil filter element for universal oil filter kit which I sell on this site, made by Champion. This has a height of 75mm (the pattern filter I have is slightly shorter at 65mm) but the Champion filter has some instruction decals in white. This is also used for the Norton Commando.